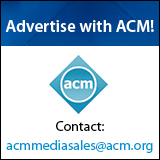 Welcome to the April 9, 2018 edition of ACM TechNews, providing timely information for IT professionals three times a week. Researchers from South Korea's Yonsei University and the Korea Advanced Institute of Science & Technology used a robot called Fribo to encourage social connectedness among people who live alone. "We believe that Fribo is a robot that reconciles the conflicts between privacy intrusion and social connectedness through sharing daily activity information gathered from living noise," the team says. They note Fribo operates at a user's residence, where it recognizes the "living noise" of opening/closing doors, items being placed on tabletops and more, and shares this information with friends of the user who also are using the robot. 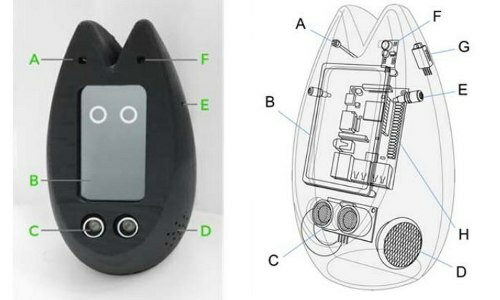 Fribo employs an ultrasonic sensor to sense tiny sounds that may signal opportunities for social connectedness. "The rapid increase in the number of young adults living alone gives rise to a demand for the resolution of social isolation problems," the researchers contend. "Social robot technologies play a substantial role for this purpose." The researchers presented their work in March at the ACM/IEEE International Conference on Human Robot Interaction (HRI 2018) in Chicago, IL. University of Southern California (USC) researchers have developed a tool that can predict the best course of chemotherapy to treat a cancer patient, applying evolutionary information and using cell-based data. "What we're doing is trying to design chemotherapeutic schedules to better overcome some of the known problems associated with chemotherapy," says USC professor Paul Newton. 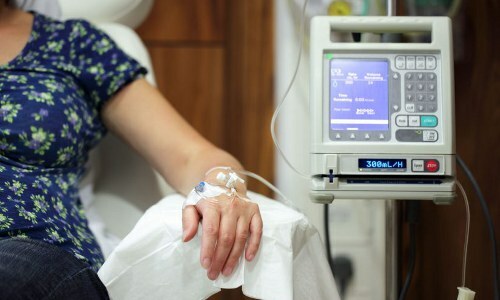 The mathematical tool enables testing of different chemotherapy plans on a tumor while accounting for the changing cell population; the researchers used existing data on cancers treated by either maximum tolerated dose or low-dose metronomic and modeled cellular competition via evolutionary game theory. The model chooses two cells at random for a head-to-head competition in which the winner is determined according to "fitness." The researchers found chemotherapeutic schedules should be determined by the tumor's growth rate, and they will use their model to develop treatment plans that adjust as the tumor changes by monitoring the different cell populations comprising the tumor. Scientists at the National University of Science and Technology (NUST MISIS) in Russia say they have developed composites that conduct heat many times better than conventional materials, a breakthrough that could help solve the problem of printed circuit board (PCB) overheating in electronics. The new composite, which conducts heat well and does not conduct electric current, has a polymer base, which means it is potentially more affordable than common analogs in the cycle of production and processing, says NUST MISIS' Dmitry Muratov. He notes the new composite could be used to replace reinforced layered materials in PCBs in small electronics in which there is noticeable heat generation. The researchers believe the new material can effectively replace fiberglass in modern electronics because it lacks corresponding disadvantages, such as toxic epoxy resins. Researchers at the University of Cambridge in the U.K. are using an 1816 legal precedent to track down stolen bitcoins, having written proof-of-concept software that can scan the blockchain and, starting from known examples of bitcoin theft, theoretically identify the same stolen cryptocurrency. The Clayton's Case precedent established the first-in-first-out (FIFO) rule, which became the U.K.'s gold standard for identifying whose money is whose in mixed-up assets. Under that principle, the researchers posited that if the first bitcoin to go into the mix was stolen, the first to come out of the mix would be considered that same coin, and thus still stolen. 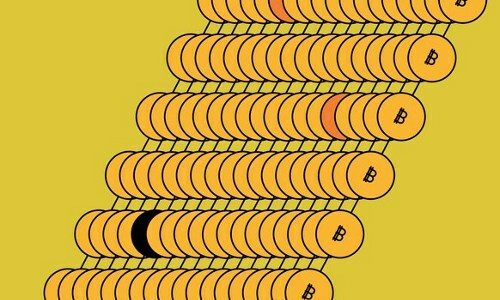 "It allows us to see through the great majority of the algorithms people use to try and mix and obscure the origins of bitcoin transactions," says Cambridge professor Ross Anderson. The software's FIFO analysis yielded more accurate answers about where stolen bitcoins wound up in actual heists than standard methods. A team of researchers from the University of Oxford in the U.K. and the Cornell Lab of Ornithology have constructed a computer model of weather and bird migration to scale up and automate predictions so bird deaths by wind farms and buildings could be prevented. The researchers first analyzed weather radar images from 143 sites across the U.S., studying the same 30-minute period each night during the migration season. They also examined records from 1995 to 2017 to estimate the average number of birds migrating on any given night across the country. 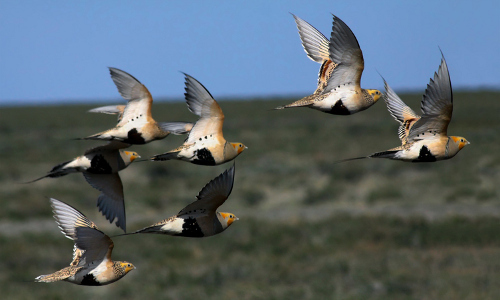 The researchers then compared all these movements to the local weather at the time when birds started a particular leg of their journey, and found air temperature to be the prime predictor of how many birds would be flying that night. From this and other data they built a model to reliably forecast bird movements up to three days in advance. The team hopes the forecast will help owners of tall buildings know when to turn off unnecessary lights, and tell owners of wind farms when to shut down their turbines because migratory birds are expected to pass. Dartmouth College researchers have developed a smart ink that turns three-dimensionally (3D)-printed structures into objects that change shape and color, which could add even greater functionality to 3D printing and pave the way for a new generation of printed materials. The ink brings functional molecules to the 3D printing world, letting users print smart objects for a variety of uses, says Dartmouth professor Chenfeng Ke. The researchers created the smart ink using a polymer-based "vehicle" that integrates intelligent molecular systems into printing gel. The new ink enables designers to retain specific molecular alignments and functions in a material and to convert those structures for use in 3D printing. One key feature of the new process is the ability to reduce the size of an object after printing while preserving functional features and increasing resolution. This means inexpensive printers can print high-resolution objects once only possible with much more sophisticated systems. Researchers at the University of Illinois (U of I) have used satellite data, deep learning, and supercomputers to distinguish soybean from corn crops in real time. "We found a spectral band, the short-wave infrared [SWIR], that was extremely useful in identifying the difference between corn and soybean," says U of I's Yaping Cai. 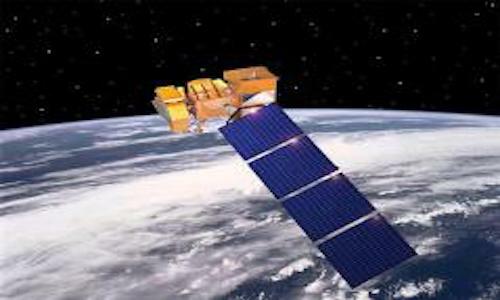 The researchers used SWIR data and other spectral data from three Landsat satellites over a 15-year period, and consistently picked up distinct leaf water status signals for the two crops in July. "The SWIR band is more sensitive to water content inside the leaf," says U of I professor Kaiyu Guan. "That signal can't be captured by traditional RGB [visible] light or near-infrared bands, so the SWIR is extremely useful to differentiate corn and soybean." Guan notes the team used the Blue Waters and ROGER supercomputers at the National Center for Supercomputing Applications to process the data and extract useful information. Studies indicate the current surge in computer science (CS) enrollments has topped previous increases, and Stanford University professor Mehran Sahami says booms and busts closely track technology industry patterns. However, he also notes a perception among students that even though the economy may be rebounding, this is not necessarily translating into domestic employment. Sahami says the latest CS enrollment surge indicates much demand for tech jobs, but he also sees academic CS faculty lagging behind enrollment, which creates "sort of ... the double whammy, in that when there (are) more economic prospects and more people are interested in going into industry--as opposed to academia--which can potentially make it harder to hire." He also says coding "bootcamps" are regarded with conflicting views regarding their value in terms of training students for long careers vs. providing only "enough skills du jour" to get them a particular job. University at Buffalo (UB) researchers have used kirigami in their execution of a project to build malleable electronic circuits, which could enhance smart apparel. "Traditional electronics...are rigid," says UB professor Shenqiang Ren. "That's not a good match for the human body, which is full of bends and curves, especially when we are moving." The team used the design principles of kirigami, a variation of origami, to induce a polymer known as PthTFB to stretch up to 2,000 percent from its original shape while increasing its electronic conductivity by three orders of magnitude. Without kirigami, PthTFB can only be deformed by up to 6 percent while sustaining conductivity. This innovation has many potential uses, including electronic skin, bendable display screens, and electronic paper, but the UB researchers believe smart clothing could be its most useful application. 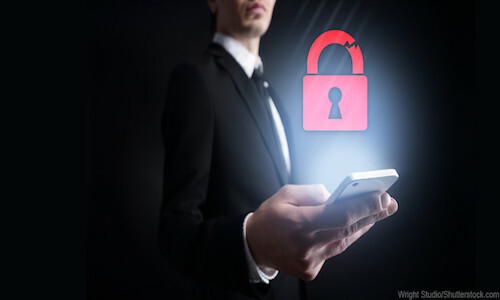 Boston University researchers, in collaboration with colleagues at Portland State University, have developed a method that maximizes mobile device security for users but still gives authorities a way to gain "exceptional access" in special circumstances. They say the new method, called "cryptographic crumpling," is an encryption technique that is meant to be broken, though at a cost designed to put it out of the reach of cybercriminals. Cryptographic crumpling requires an unauthorized user, such as a law enforcement agency, to solve two cryptographic puzzles before being able to decrypt a message. The first, or "gatekeeper," puzzle is the more difficult and expensive to solve. The researchers estimate that solving this puzzle with brute force could cost anywhere from $100 million to several billion dollars. After the gatekeeper puzzle is solved, the unauthorized user must then solve a second hash-based puzzle that costs between $1,000 and $1 million for each decrypted message. 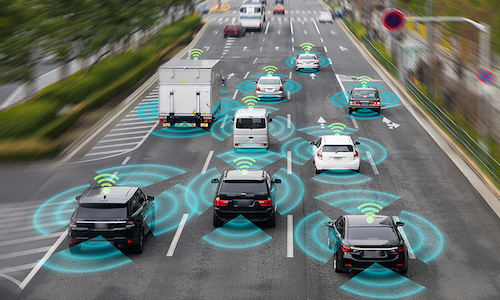 Purdue University and Stanford University researchers say they have discovered a novel laser light sensing technology that is more robust and less expensive than conventional systems. They note the innovation is orders of magnitude faster than other laser steering devices that use phased antenna-array technology. The Purdue-Stanford technology is based on light-matter interaction between a silicon-based metasurface and short light pulses. This type of beam-steering device can scan a large angle of view in nanoseconds or picoseconds, compared with the microseconds current systems take. The team says the new system is chip-compatible technology that does not require additional sources of energy. Stanford's Amr Shaltout says each of the structures in the new system emit slightly different frequencies, meaning there is no need to address each individual antenna continuously and consume power during that process.